Dimpho Motsamai is regional security analyst with the Conflict Prevention and Risk Analysis division of the Institute for Security Studies (ISS). Mrs. Motsamai worked as consultant, at individual and institutional levels with organizations including SADC, the Common Market for Eastern and Southern Africa, (COMESA), the Development Bank of Southern Africa (DBSA), the Electoral Institute for the Sustainability of Democracy in Africa (EISA), the International Development Research Centre (IDRC), the Wilson Centre for International Scholars, and the Deutsche GesellschaftfürInternationaleZusammenarbeit (GIZ). Such professional experiences equipped Mrs. Motsamai with requisite technical know- how in project design, management and the organization of outcome-based programs. She is currently pursuing her Doctorate at the University of the Witwatersrand, Johannesburg South Africa and publishes extensively on governance and conflict dynamics in the Southern African Development Community (SADC) region. 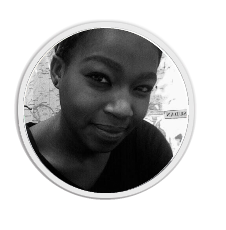 She holds a MA in International Relations from the University of the Witwatersrand and a BA in International Relations.